[New for 2017] Four months. FOUR MONTHS. I have patiently waited four months to try this Target exclusive. 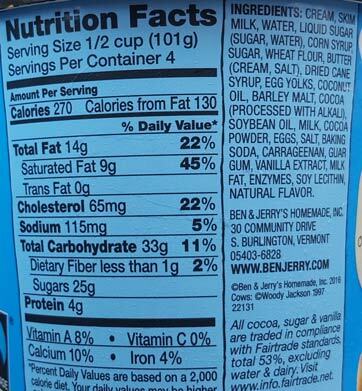 I am four hours away from Ben & Jerry's HQ yet I had to wait four months to try this excellent flavor. Wait, should I have said spoiler alert first? A plethora of mix-ins waits just below the surface on this one. Lots of circular shortbread bits. Lots of those new fudge flakes that a bunch of you hate (but I do not). And a gooey swirl. 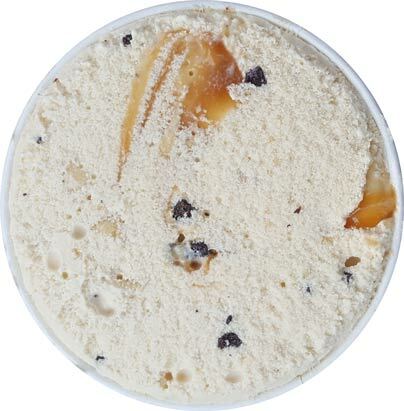 I liked it from the first scoop, it's as simple as that. It's just a great complex flavor and you have to appreciate those. It's both familiar and unique. 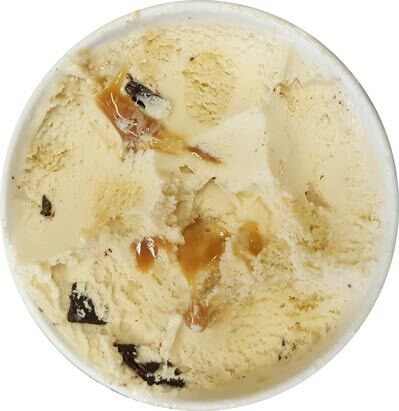 It's not a straight up caramel flavor, so don't worry about that. It's more like an.... oatmeal cookie almost, or some other hearty cookie. Speaking of cookies, all of them were soft except one that was super crunchy. This is not a one note flavor and that is a good thing. You can slow scoop this one and still be very satisfied. You don't need to plow through it looking for that burst of cookie flavor. Just take your time on this one. I may see if I can make this a four serving pint (but it'll probably be three). On Second Scoop: I do have one minor complaint, it smells a little funny. Seriously, that's my only complaint. It smells a bit like old oats or something but I enjoyed finishing this one very much (a commenter noted that it's probably the malt I am smelling). This one is much more balanced than you'd expect, and it's also such a big hearty flavor. It's not really like anything else that they offer right now. It's a shame it's an exclusive because this one is cool. Think I might have to try a serving from the next pint on top of a waffle. Well done B&J's. I don't get the creativity with the naming of this flavor. Is it a play on "Keep Calm and Carry on"? The weird smell is probably the malt, as when I had vanilla malt ice cream for the first time, my reaction was similar to yours. The smell freaked me out at first but then it REALLY grew on me. 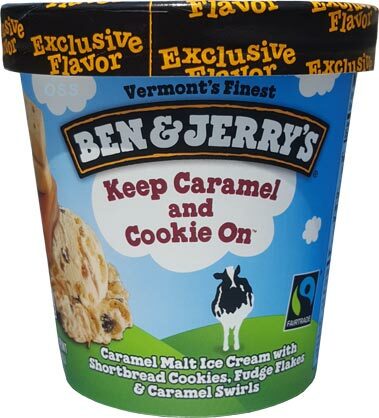 Not only did I love the malt ice cream, I love B and J's take on caramel-flavor ice cream. Were the short bread cookies softened or still crispy? Judging by the pictures I'm guessing softened mainly? I normally don't go to target, but I really want to try this one. And yes, I usually find their fudge flakes overkill ("hate" is too strong of a word) but I think they would work here. Many BJ flavors I am close to trying but usually just wish one component was changed. Many of the times it is fudge flakes. 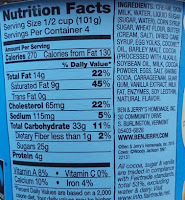 We dont need those in every ice cream flavor please otherwise I would pick up more pints. @Anon1: good call on the malt smell! and I should fix the review as I meant to mention that one cookie was super crisp and all the other were soft. I really like this flavor, as well. The malt flavor is a nice touch. It is, but I'm surprised they didn't put caramel second to make it a pun. hehehehe, I think I called it "keep calm and caramel on" a couple of times myself. Ive been looking for this flavor for a month and cant find it. The Targets in NYC just don't have it. Shame.